Harbour Tug Boat - Dark Blue. Additional portholes give this tug real character. 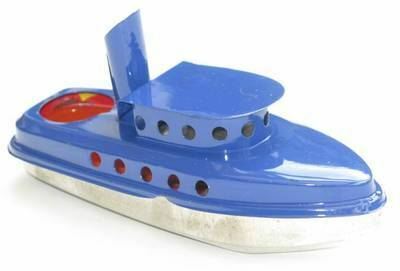 Large Pop Pop Tug Boat - Dark Blue. Additional portholes add character to this model. After this boat has been running for a while, smoke will flow from the chimney. Includes Fuel Tray, Candles and Priming Dropper.